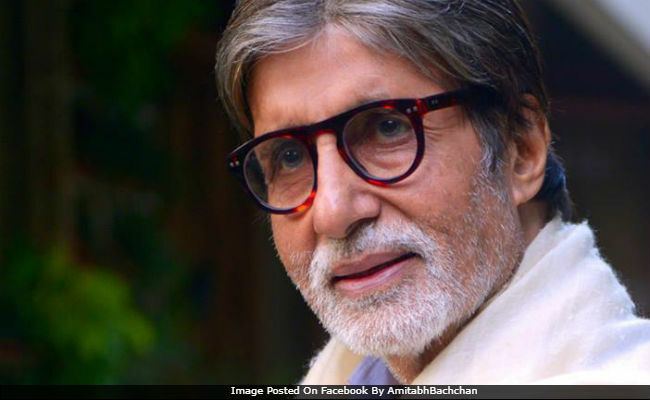 Megastar Amitabh Bachchan, who currently has 32.9 million followers on Twitter, has recently posted about quitting the microblogging site. Big B, in his tweet, mentions that his followers were reduced and hence, 'it's time to get off.' Along with the tweet, the 75-year-old megastar, shared a picture of a fighting scene from his film Hum, and wrote, "TWITTER..!!!?? You reduced my number of followers.. !!? ?HAHAHAHAHAHAHA .. !! That's a joke .. time to get off from you .. thank you for the ride .... there are many 'other' fish in the sea - and a lot more exciting!" Now, Amitabh Bachchan and Shah Rukh Khan, have the same number of followers on Twitter (32.9 million). Read Big B's post here. Last month, when Israeli Prime Minister Benjamin Netanyahu visited India, he attended an event called Shalom Bollywood, where celebs like Amitabh Bachchan, Abhishek Bachchan, Aishwarya Rai Bachchan, Sara Ali Khan, Madhur Bhandarkar, Prasoon Joshi, Abhishek Kapoor, Vivek Oberoi were invited. The event was designed to reach out to Bollywood to shoot more films in Israel. Over there, PM Netanyahu said, "I used to think that I was a big deal. Till I found that Amitabh Bachchan has 30 million more followers than me." The Oscars-style selfie, clicked by Amitabh Bachchan, was one of the main highlights of the event. Shah Rukh Khan's followers on Twitter increased by 40 per cent last December, news agency PTI reported. He previously had 30.9 million followers. Prime Minister Narendra Modi is the most-followed Indian personality on Twitter. Big B's Hum completed 27 years today. He posted some stills from the film and tweeted. Amitabh Bachchan is currently filming Thugs Of Hindostan, also starring Aamir Khan, Katrina Kaif and Fatima Sana Shaikh. His next release is titled 102 Not Out, with Rishi Kapoor.